Best 1st half under Claudio Ranieri! Solid in defense, compact in the middle and sharp upfront. We could dare more in the second half, too shy, Inter pushed us back, though we still had chances to sneak the winner. So, a fair point in the end. El Sharaawy’s curly screamer was the prelude of a great first half. Roma looked confident and in control. Nzonzi was everywhere, Dzeko helped the team rasing the stakes, Fazio and Jesus controlled well the defense, Kolarov and Florenzi solid on the wings. Pity for tha silly mistake that allowed Inter to equalise. Nevertheless, Claudio Ranieri’s revived tactics are paying off. 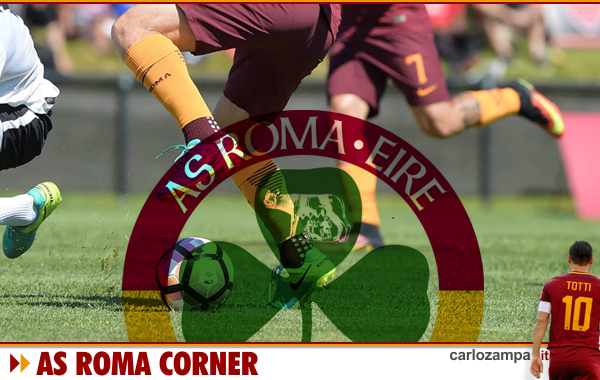 This new Roma team is more on the guard, looking to sting on the break. Perhaps not great to watch, but at the moment we just need tom play minestrone soup football. Champions League calling! So, with Inter nearly sure of 3rd place, the battle for 4th spot remains wide open and can swing anywhere, with Lazio nearly out and with Torino incredibly only two points behind us. At this stage it’s looks like a battle between Roma, Atalanta and Milan, who travels to on-form Torino. Atalanta hosts Udinese while Cagliari is next for Roma. Only 5 games to go. Every mistake counts. And we cannot make any. Daje!